Welcome to Ascend Consulting, Inc.
Change your perspective. Get the view from the top. 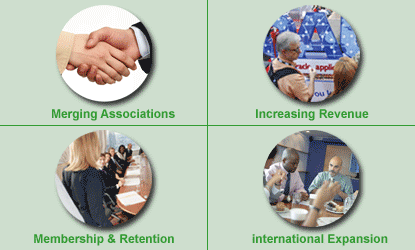 Ascend Consulting Inc. (ACI) offers business consulting for associations, user groups and other non-profit organizations. We help organizations to optimize their potential by providing insightful and actionable recommendations and solutions designed to elevate every aspect of performance and service delivery. Our strength lies in our consultants' experience and well-honed ability to recognize growth and improvement opportunities for our clients. ACI is an affiliate of Meeting Expectations, Inc., an accredited association management company and one of the nation’s top meeting planning companies. Founded in 1992, the company has also been recognized for six consecutive years by Corporate Meetings & Incentives magazine as among its top 25 largest and most influential meeting planning companies. Are you a board member or executive? Need quick or temporary solutions?